Jonathan Baker, Jason Butcher and David Reineck at last year's Spring Fling. The fundraiser Habitat for Humanity of Charlotte County is planning is a sure thing. 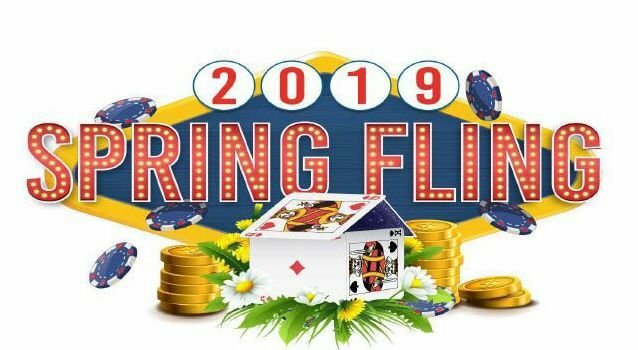 It’s called Spring Fling — A Night in Vegas, and officials of the nonprofit are looking forward to a guaranteed good time. The event is planned for 6 p.m. to 11 p.m. March 30, at the Isles Yacht Club, 1780 W. Marion Ave. in Punta Gorda. Cocktail attire is suggested. Tickets are $125 per person. Food will be served along with complimentary beer and wine — while supplies last. A cash bar also will be available. Tickets can be purchased at www.charlottecountyhfh.org. Habitat Charlotte County is a branch of a national nonprofit that builds affordable housing for qualified families. It plans to build 35 homes this year – the most since it started operating in Charlotte County in 1987. Two of the houses will be built in Glades County in support Habitat expansion into that area. Last year, Habitat Charlotte built 30 homes. According to its website, since 1987 Charlotte County Habitat has helped more than 400 Charlotte County families achieve the dream of home ownership. Its homeowner success rate is 96 percent, according to the website, and it reinvests 91 cents of every donated dollar into its programs. Two of its more popular builds, the Apostles Build funded and manned by local churches, and the Women’s Build, funded and staffed by local women, will be completed soon, Cardillo said. Charlotte County Habitat homes are sold at an affordable price to qualified applicants who meet the nonprofit’s program criteria. Homeowners are selected by a committee and approved by the board of directors. Applicants must have a need for affordable housing, must have the ability to pay their mortgage, and must have a willingness to partner with Charlotte County Habitat, Cardillo said. That help includes volunteers. One new feature on the nonprofit’s website is online signup for a variety of volunteer jobs. Donations are always accepted. WHERE: Isles Yacht Club, 1780 W. Marion Ave., Punta Gorda.